I grew up in India and graduated in Natural Sciences in Kolkata. I moved to the UK in 1996 and read my PhD in Physics at Durham University. In April 2003, Kromek Limited was formed out of the physics department at Durham University. I became CEO as we sought to commercialise technology related to the development and manufacture of CZT and related materials. I am also extremely proud that, from our beginnings at Durham University, we now provide our medical imaging, nuclear radiation detection and security screening solutions worldwide – including to the US Department of Defense. Our radiation detection solutions are based on high-performance sensor materials, which are about making people’s lives safer and better. In 2009, I was recognised as the Ernst and Young UK Entrepreneur of the Year and received and MBE in 2014’s Queens New Years Honours list. 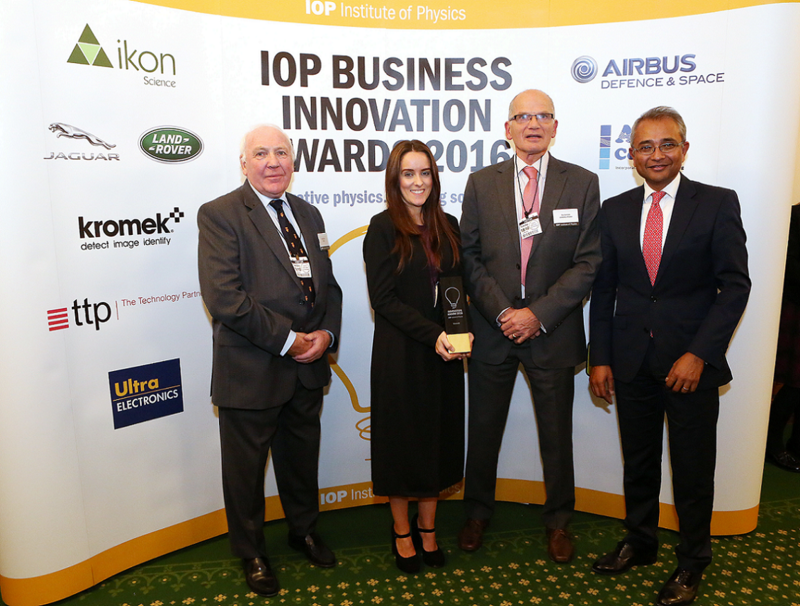 In 2016 I received the IOP Business Innovation Award for the development of our wireless handheld radiation detectors. Our detectors are designed to produce maps of radiation levels across cities to prevent attacks involving radiological ‘dirty bombs’ and other nuclear threats. The IOP has always proudly advocated and supported the potential of physics to bring about transformative change in society, which is why I joined IOP as a Fellow in August 2010. The organisation’s global reputation for supporting innovation and promoting the application of physics in society reflected my own passion and the ethos of Kromek. I have attended a range of conferences and events that I found invaluable for enhancing my understanding of physics. I have enjoyed opportunities to share ideas with a broad range of individuals, from esteemed academics and government officials to enthusiastic amateurs and students. IOP has always proudly advocated and supported the potential of physics to bring about transformative change in society, which is why I joined IOP as a Fellow in August 2010. It’s also about encouraging young people into science. By encouraging and engaging with young people we can demonstrate how science, and physics in particular, is involved in developing the everyday things we use.